As Israel prepares for, arguably, two of the most powerful days of the year – Yom HaZikaron and Yom HaAtzma’ut – Jewish communities outside of Israel may question how they can commemorate these days, or if they should commemorate them at all. 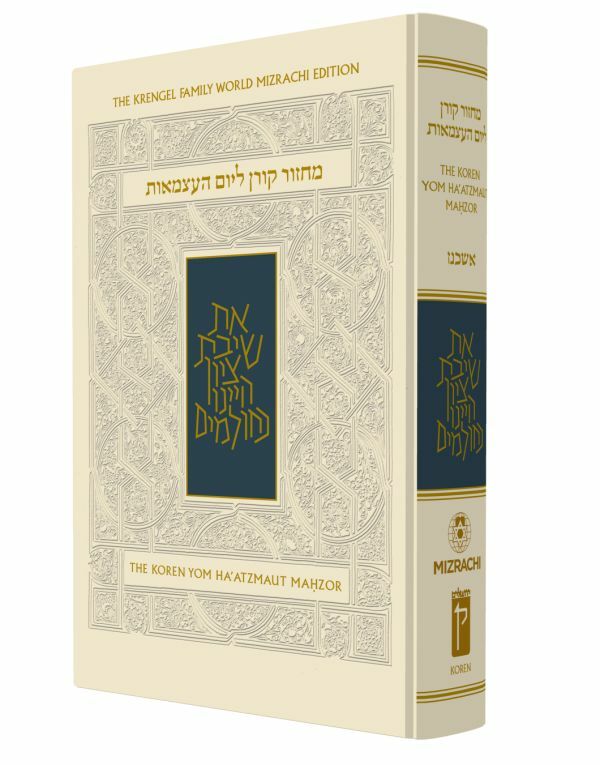 This year, one of the world’s leading Jewish publishing houses, Koren Publishers, produced a the Koren Yom HaAtzma’ut Mahzor, a new prayer book that provides a guide to marking these days in an elevated, meaningful way. This essay, by the prolific writer and educator, Erica Brown, addresses some of the challenges to celebrating these holidays in the Diaspora. Celebrating Israel’s Independence Day in the Diaspora is a little bit like making a birthday party where the guest of honor fails to show up. It cannot be otherwise. If the commemoration takes place at a distance – if you are not physically in Israel – then the larger piece of the national equation will, by definition, be compromised. Having said that, it is important to acknowledge that some Diaspora communities and Jewish organizations – synagogues, JCCs, and youth groups – are better at making it a holiday than others, and a few moments of reflec­tion on “best practices” may stimulate the development of more positive and content-rich programs and experiences. Such reflection may also lead to a larger conversation specifically about Religious Zionism outside of Israel and the tenuous and sometimes dangerous relationship between religion and nationalism. Independence Day celebrations are relatively new for many countries. Our globe has changed radically in the past century. After World War II, many European countries relinquished political power over their colonies across Asia and Africa. Thirty-four new countries have been placed on world maps since 1990. In a list of over two hundred countries that celebrate an independence day annually, most – like Israel – were established in the twentieth century, and most of those in the second half of the century. There are a few outliers. Portugal has commemorated its independence day on December 1 since 1640. Swedish celebrations on June 6 have been marked since 1523. Japan is among the earliest, dating all the way back to 660 BCE. Most countries have much later dates because the establishment of independent statehood is a relatively modern concept. According to Benedict Anderson, author of Imagined Communities, countries establish such dates in part because they need to mark a boundary not only in place but also in time. Determining a calendar date to mark independence gives a polity or political entity the status of a country among the family of nations, a place free from the tyranny of military occupation or persecution, set apart from surrounding countries, distinct, unique, and worthy of note. For most countries, independence is a func­tion of internationally recognized boundaries and an organized economy and currency. It implies formal and structural oversight of education, transportation, and other public services and utilities, security and protec­tion for its inhabitants, some aspects of culture, and – most importantly – independent and unchallenged sovereignty. The achievement of such practical and lofty goals should not go unnoticed by its citizens. A date to celebrate independence may be chosen because it marks an event of broad and obvious national significance, or it may be more arbitrary. The date’s importance may simply lie in the virtue of establish­ing a calendar presence and a holiday, to embed in the consciousness of its citizens a growing sense of belonging, the baby steps on the road to nationhood. Often such days are fraught with controversy, and Israel’s day of independence is no exception; competing national narratives can make one person’s celebration into another’s day of mourning, as is the case in modern-day Israel. For us as Jews, who characterize commitment through a powerful meld of faith, culture, history, language, ritual, and ethnicity, establishing our own independence day is not a statement of newness as a people but the adding of another layer – a national presence – to an already rich iden­tity. Obviously, Israel Independence Day – Yom HaAtzma’ut – should be an occasion featuring communal events and celebrations of joy and substance along a nationalist theme. Beyond barbeques, car flags, special TV shows, fireworks, and plastic hammers, Israel uses a host of events to give the day meaning. Many IDF bases are open to the public. Israel’s president opens his home to honor 120 outstanding soldiers, and there is an official ceremony the night of Independence Day on Mount Herzl. Twelve torches are lit, one for each of the twelve tribes, taking a modern occasion and extending its reach back across the sands of time to the Israelites’ earliest wilderness days. The Israel Prize, Israel’s most important civilian honor, is also awarded on Yom HaAtzma’ut. These national rituals showcase Israel’s achievements and heroes, its important current national sites, and its nod to history, as if to say that we may have achieved statehood in 1948 but we became a people long before. Perhaps the most outward way this is achieved is through the Hidon HaTanakh, the famous Bible Contest open to teenagers across the globe, which is held every Yom HaAtzma’ut. The tie-in of the day to mastery of the Bible is not accidental. It roots modern Israel in its most ancient references in a sacred text that has transcended time; in a sweep of succession, it suggests that children are both the inheritors of this magnificent enterprise and the future leaders who will emerge from pages of old to take on the contemporary challenges of statehood, armed with song and verse. This raises an honest dilemma for Jewish educators and Jewish organiza­tions. If one fails to celebrate Yom HaAtzma’ut in the Diaspora out of ideological differences, laziness, or lack of creativity, it is a slap in the face to this transformational turning point in the development of our people; it is a diminishment of the spiritual and national center that Israel is for world Jewry, whether as relief and refuge, or as the place where Jews can express their Judaism fully and autonomously. If, on the other hand, one does mark the day while living in another country, how can the national element be appropriately marked in the absence of a state-wide focus? An Israeli friend who was teaching for a few years in an American Jewish day school told me he laughed when some teachers walked in on Yom HaAtzma’ut wearing kova’ei tembel (Israeli kibbutz-style hats) and serving falafel balls. “We mostly eat shawarma now, and no one would be caught dead in one of those hats,” he insisted. Is it possible that outside Israel we have frozen time to a period of Zionism that feels more idealistic, nostalgic, and comfortable, but that to an Israeli would seem stale or even foreign? Outside of Israel, those who regard themselves as Religious Zionists have an additional particular challenge. While I annually attend a beauti­ful and meaningful Yom HaAtzma’ut celebration in our area day school and am always moved, I am also struck by how the prayer service feels hollow, a hodgepodge of tefillot pulled from a variety of holidays across the Jewish calendar year. This imposter service seems to miss entirely the vastness and complexity of what modern Israel has come to be in the religious mind-set, where it is no longer a mythic aspiration but a real place with its politics and its controversies, its share of domestic and foreign woes, and its immense accomplishments as a start-up nation full of innovation and with global reach. Instead of celebrating Israel on this day, the prayer service seems to narrow it and make it less significant than it should be. The way that Yom HaAtzma’ut is observed outside of Israel often lacks the creative spark that characterizes so much of what happens inside the country today. I am not questioning the intention of those who originally put together this blend of Shabbat, Yom Kippur, and Rosh Hodesh practices. No doubt they too wanted the day to feel rooted in tradition and part of the holiday calendar, and by using prayer that is central to holy days, they were elevating the status of Yom HaAtzma’ut. In the early 1950s, the chief rabbinate of Israel wanted to bring sanctity to what was otherwise a purely national celebration. What better way to achieve this than to cut and paste from the siddur and the mahzor? But the prayers as they are currently organized fail to move me precisely because they are not specifically for this day alone. The appropriation of these texts from their original contexts makes me feel each year that this is a pretend holiday, especially outside of Israel, where the prayer service takes on greater significance because the national observance is so muted. Since Yom HaAtzma’ut in the Diaspora is not celebrated everywhere the eye can see, those of us who are Religious Zionists feel we need to say the tefillot a bit louder so that God can hear them. This brings into greater focus the fact that these prayers feel a little shabby in this setting, leftovers from other days. The pages we use are photocopied. Their edges are bent and ripped. Those of us who take prayer seriously are usually moved by the unique prayers said on special days. Tefillat Tal and Akdamot, the Musaf for Yom Kippur and Had Gadya, are belted out loudly because we know Shavuot, Yom Kippur, and Passover come around infrequently. In the 1950’s, when the chief rabbinate decreed Yom HaAtzma’ut a minor reli­gious festival in addition to its national status, they declared that Hallel should be recited to honor this day and place it among a constellation of holy days, much the way the Talmud records attempts to observe military triumphs of old as national days of significance, though most of these are lost to us now. But in limiting the Hallel to a set of psalms without a blessing, they were also hedging. They were telling us that this day resonated in our history as an outburst of joy on the timeline of Jewish history that could only be of a divine and miraculous nature, and then undermined it all by removing the blessing from its recitation. This may explain why Rabbi Shlomo Goren, in 1973, insisted on the recitation of the blessing, ramping up the status of the day, despite objections from Rabbis Ovadia Yosef and Joseph Soloveitchik. In questioning the canonization of these prayers, neither scholar was demeaning the significance of the Jewish state as much as questioning whether or not it was too early to conclude that this national dream also achieved the religious aspirations associated with it. Most Religious Zionist day schools and Modern Orthodox syna­gogues have stayed in the “safe” zone and recite Hallel without the bless­ing. It is in this moment, the moment in the Diaspora where we begin Hallel without a blessing, that we realize how contradictory and confusing these days are for Religious Zionists outside of Israel. We lack the national festive atmosphere and citizenship. We lack prayers constructed especially for the day, and we lack the blessing that tells us this is a truly holy day. Without the strong national elements, the religious dimensions, which are somewhat weak, feel weaker still. There are practical ways to address some of these problems. Fly to Israel for Yom HaAtzma’ut. While this is an expensive and less likely option, I believe that all Jews should experience Israel’s Independence Day in Israel at least once. One day alone will ex­pose the wide abyss between the regions’ celebrations of Yom HaAtzma’ut and possibly stimulate more serious thinking about its observance in the Diaspora. Find sacred texts – like parts of Deuteronomy . – that celebrate the uniqueness of Israel and include them in the service while preserving the basic formulation. Create song contests, events, and award ceremonies that mimic what happens in Israel to some degree, to beef up the nationalistic element. Use the day annually to stimulate study and facilitated conversa­tion about Israeli politics, history, and culture, instead of varia­tions on the same daglanut or flag-waving dances that can feel tired and repetitive. Revisit the curriculum or typical programming and structure of Yom HaAtzma’ut in schools and Jewish centers and ask where it can be more lively, more intellectually robust, more engaging, more creative. Use more Hebrew language. Create opportunities to discuss Jewish peoplehood, Jewish iden­tity, and what it means to have a truly global Jewish community. What continues to unite us and what challenges our solidarity? Find out how expat Israelis in your local community celebrate Yom HaAtzma’ut. Often they hold their own celebrations. Try to partner with them on programming and community-wide conversations. Using just one of these steps as a platform for change can o.er a more inviting and engaging celebration. Yom HaAtzma’ut should be a time for reflection on how Israel is the center that disseminates the psychic bonds connecting our entire global Jewish family, as Isaiah said: “For out of Zion shall come forth Torah and the word of the Lord from Jerusalem” (2:3). Orthodox day schools spend very little time defining peoplehood as a feeling or a construct, demonstrating examples of it, or finding ways to strengthen it. School-age children rarely have opportunities to articulate what being Jewish means to them. We often mistakenly assume that a deep Jewish identity is on o.er for day school children if only they would take their Jewish studies more seriously. If anything, we tend to use Israel’s Memorial and Independence Days to highlight only religious Israelis who serve our country, died for it, or take joy in its festivities. This limits the reach of Zionism and Judaism to a perilously narrow purview. I propose the following definition of the nation: it is an imagined political community – and imagined as both inherently limited and sovereign. It is imagined because the members of even the small­est nation will never know most of their fellow-members, meet them, or even hear of them, yet in the minds of each lives the image of their communion…. Communities are to be distinguished, not by their falsity/genuineness, but by the style in which they are imagined…. Finally, [the nation] is imagined as a community, because, regardless of the actual inequality and exploitation that may prevail in each, the nation is conceived as a deep, horizontal comradeship. (Imagined Communities: Reflections on the Origin and Spread of Nationalism (London, 1983), 6. Michael Billig, another widely-read scholar on the subject, writes that it is a banal mysticism that binds us to a homeland, “that special place which is more than a place, more than a geophysical area.” (Banal Nationalism (London, 1995) 175.) Israel is for many of us that special place which is more than a place. Our celebration of Israel should also be more than just a same-old, same-old disconnected religious nod to an Israel of yore, or a big anniversary party with a guest list limited by geography. Yom HaAtzma’ut needs to be a global restate­ment of our commitment to a country that deepens Jewish identity for us all. If our celebrations cannot be genuinely nationalistic outside of Israel’s borders, then at least they can be more fun, more fresh, more educational, and more transformative.